At £200-odd it's a little pricey for a low-power media centre machine, and definitely over-specced for one. As a low-power workstation, though it could be worth a look. Another day another new Sandy Bridge CPU, and another new suffix to get your head around. This time it's the Intel Core i7 2600S. Many people have heard of the Core i7 2600K by now, the unlocked overclocking demon that was part of the original Sandy Bridge launch, but the Core i7 2600S you may not have heard of. It's also pretty well known that if a second-gen Core CPU doesn't have a K at the end of the model number, its pretty much game over for any sort of serious overclocking. So what does the S stand for, and does it mean even more features turned off? Well no, the S models represent more low power units, but just not as low powered as the T models. So instead of the 95W of a standard 2600 part, they have a TDP of 65W, as compared to the 45W of the T series. 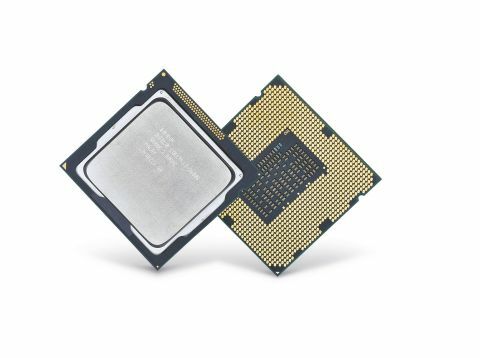 Apart from the low power rating, the Intel Core i7 2600S still retains all the familiar features of the 2600 family: four cores, eight threads and 8MB of Smart Cache. But as with all the S class chips, it's clocked slower than the rest of the their family. In the case of the Core i7 2600S, this means it runs at 2.8GHz compared to the 3.4GHz (3.8GHz max Turbo) of the i7 2600 and Intel Core i7 2600K.